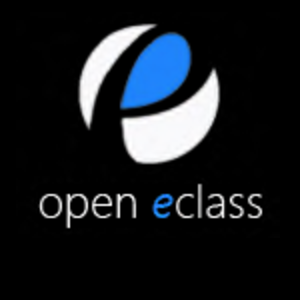 The Open eClass platform is an integrated Course Management System. It is the solution offered by the Greek University Network GUnet to support asynchronous eLearning services. Open eClass has been designed to enhance the learning process, it is distributed for free as an open-source software and is actively supported by GUnet. Its main goal lies in the integration and constructive use of the Internet and web technologies in the teaching and learning process. See here for the wiki page on how to download and install Open eClass. Solidarity schools have been operating for around 5-10 years, as a response to educational needs of students in less affluent areas – as a supplementary teaching to public schools. These are self-organised, volunteer-run and supported schools where teachers of various backgrounds support students of all ages in classes such as foreign languages, music instruments, public school curriculum etc. Currently most solidarity schools do not use any kind of technology other than social media groups for their communication and organisation of various of the school’s subgroups. Depending on the school and context, their needs vary from systems to support the creation of databases for teachers and students, online repositories for educational material, time banks for the registration of services and others. Vasilis is currently engaging with solidarity schools in Greece trying to support their operation through the configuration of Open eClass systems. Currently, three solidarity schools use a configuration of Open eClass for their logistics (i.e. databases for beneficiaries, volunteers and modules) and online educational material repository (i.e. e-classroom).